We’ve all heard it – “eat your vegetables and you’ll grow up big and strong!” And we know that vegetables are healthy and nutritious, helping with weight control, fitness, and overall health. But be honest… How many people really look forward to eating broccoli? Well, the answer is clearly not enough. Broccoli is ranked only number 20 on a list of popularly consumed vegetables. Yet, it is an important tool in the quest for good health. Diet has now overtaken smoking as the number one risk factor for disease and death in the U.S. One in three children will develop diabetes, adding to the one in three adults who are already considered clinically obese! Add to these statements the statistic that only five percent of Americans under the age of 50 are getting the recommended daily amounts of vegetables and we can see why marketing vegetables can be an important campaign. Getting people to eat more broccolis was the focus of an exercise by ad agency Victor & Spoils, a company that has created campaigns for the biggest brands in the food business. Beginning with basic research at farms, restaurants, grocery stores, homes, and schools, the agency took on the challenge of creating an innovative campaign to bring the humble broccoli to the masses. 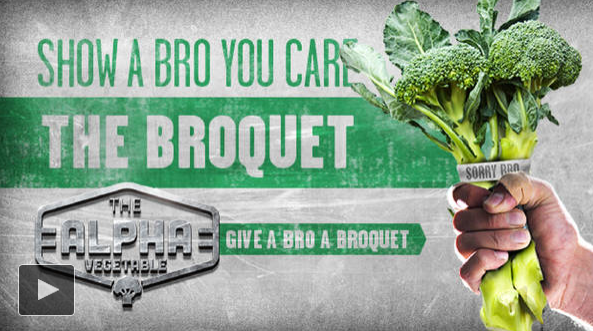 The result of the fictitious campaign has broccoli and kale battling it out for your table! 1. First, poll students about their eating habits. Individually, have the students list all the foods they have eaten in the past few days. Then, build a master list on the board and count the different food types. How many ate vegetables, including broccoli? Why? 3. What are key elements from the video? How did the agency research the topic? Who is the target market? Key messages? 4. Divide students into teams and have each team select a different vegetable. 5. Have each team develop a marketing strategy and a promotional plan for increasing sales of their product.